2 years ago, none of the existing Boda haling firms had plans of commanding a wider portion of the general ride hailing industry. While Uber crossed over to Uganda in 2016. Safeboda was a struggling startup trying to make it with app free services. However, with taxify boda, Dial Jack, Mondo boda and Uber boda giving the orange camp a sprint in driver recruitment, Safeboda has made a reckoning brand in its once monopolized yard. Although we managed to get ride around town with Taxify boda before opting to try out a ride with Uber boda. Safeboda is one app we’ve had fun hailing within a once in a quarter ride around Kampala. In addition, to the exclusive customer care by the driver to a helmet sure deal, we caught up with a female driver for a ride and they’re a few things we hated against those we actually liked about the service. As a matter of fact, riding with a female driver is one strategic feeling that turns on your safety gear with a 5-star rating. And by no doubt, rider 1166 gave us a ride pill filled with fun and excitement quenching for an extra trip beyond the initial destination. In reality, we thought a basic safeboda request would take us 3-5minutes to get a driver around our pickup location. However, the hot portion was different when only 15 seconds depleted off the clock before we could get a nearby driver. In addition, the phone vibration hit up with a call from the driver spicing up the whole process in a time call approach. We we’re required to wear a helmet and fully tie the protective tie before the trip could be started for extra safety! In a price and feature comparison, we recently piled up from the leading ride-hailing services in Uganda. Safeboda shunned with identical rates with Uber boda and Taxify boda. However, on our 5KM trip with the app, it charged us a favorable lot as displayed on the app without any tricks pulled off by the driver. In a like manner, the unending industry chat filled the anticipated trip with joy and laughter. Among the key features we liked the Safeboda app in particular, the beginner-friendly interface makes it one of the lightest apps you can install on your phone. More so, the cross-platform capability makes it a must-have app on all devices if you’re to hail around Kampala. Even though Uber seems to be one step ahead of safeboda with an extra app free interface for those on a computer or internet powered feature phone, we had to download the app in a bid to get a nearby driver with Orange bikes dominating major Kampala streets. 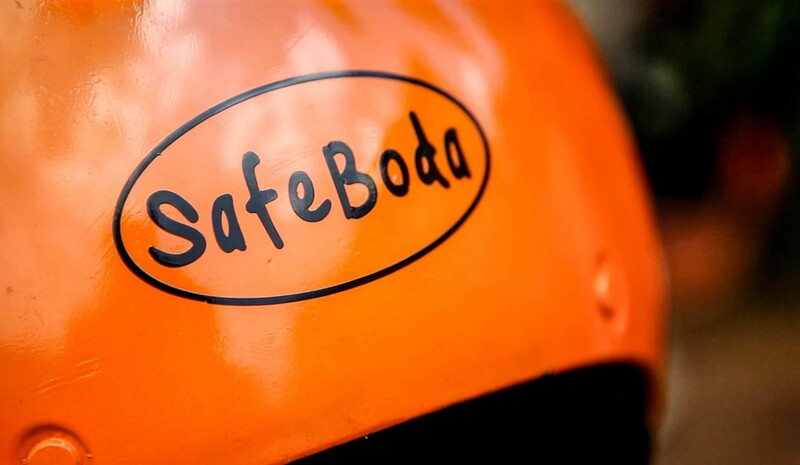 Safeboda riders are more of the usual drivers branded in company gear. Our experience with a different driver (one in a million) later in the night tuned out to be an opposite of the fun trip we had with the lady driver, proving a point that not all drivers are friendly to the maximum. In addition, we failed to get any driver during the service peak hours with demand shooting up high. As much as we could see some orange branded drivers driving through, the app could display a ‘No safeboda around you’ notice. In Kampala, you can’t fail to meet a Safeboda for every 2 minutes you spend on a busy street. However, with the app’s paring feature allowing you to hook a driver of your choice without a random request, makes the Safeboda app one of the best services to hail with. In addition the one helmet, one rider policy makes the orange camp a proud leader in safety, as much as all hailing drivers are supposed to have these, some don’t fulfill the policy, unlike Safeboda. To the core beliefs, we believe Safeboda has struggled all the way from Its book of Genesis in 2014, and Its current position as a firm teasing a lion’s share in the ride-hailing industry is not surprising. However, the orange camp simply leads because of their safety precautions and termite path drivers who fulfill the MTN slogan of “Everywhere you Go” since we’ve seen these even outside Kampala after trip dropoffs to as far as Entebbe. Henceforth, with over 7000 drivers currently registered by Safeboda, the topmost portion is a delightful position for such a Ugandan based startup.